Look at the space you have and take some time to figure out where you want things. Where do you want your dry goods, for example? Where do you want your can goods? These are all things you should plan out ahead of time and then when you put them back, things will go smoother. Label the shelves if you have particularly hard headed family members that will put things in the wrong places. If you have things in your pantry that are still good but you will absolutely never use, donate it to someone that will. Likewise, get rid of anything that is expired or close and/or dented or no good. Toss those items in the trash. 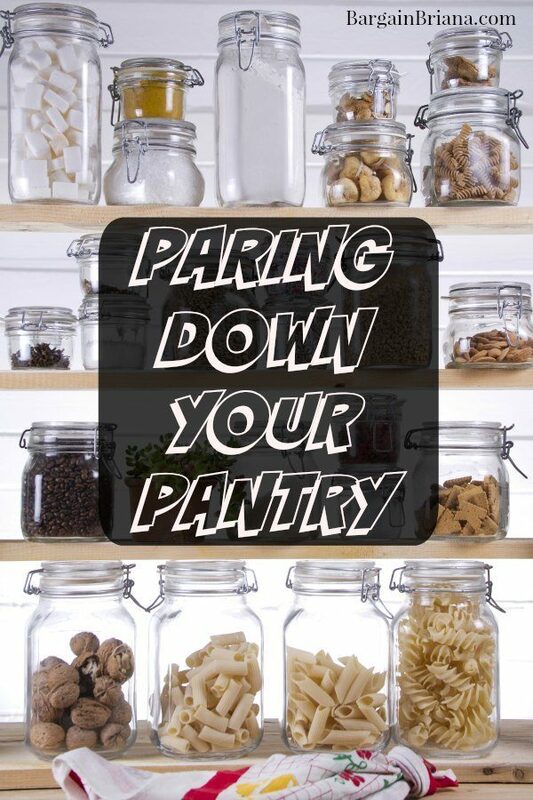 Just doing this one thing can save you a ton of space in your new pantry. Paring down your pantry is often just a matter of getting rid of the obvious. If you don’t eat it, you should keep it out of your pantry. This alone should clear out a ton of space and free up spots for your edibles. A good pantry is organized and clear of all things you don’t eat. Because many of you are living there, you really need to get some help. Have your family join in the fun and get them organized. Take control and let them know you are going to do an assembly line. Put people at intervals between you in the pantry and the pile of food going back in. Put a trash can at the pile and a donate box for any items you might have missed. Now have them start sending the items one by one down the line. Replace each item in the section you assigned and stack them exactly the way you want them going forward. Once you are finished, show the family how things are going to be done from now on. It will take some training, but you will absolutely be able to get them on board with loading the pantry properly. Make sure you rotate your dated items and that you keep things out that are not food related. You will certainly come out better by keeping food and cleaning stuff apart. I just finished doing this! I had so many canned and jar goods saved up from all of those coupons deals, that when I came home from grocery shopping, again LOL, that the bags of new groceries sat on the floor, looking as dumb founded as I do, on where do I go?! I now have a huge paper bag full of items for the next mail carrier food drive, and I can now see what is in my cabinets. (all are food items a diabetic should not eat!) Problem I now have is, where can I store that bag for the food drive? Another problem I have is this; what do I do when I see a coupon for $1.00 off of 2 Ragu, and my local Cub Store has it on sale for 2 for $2, and I have 5 jars in the cabinet? And my last problem is this; I am on a drastically reduced food budget. I have to feed myself on $100 a month, and I am diabetic. I subscribe to so many newsletters trying to figure out how to eat properly and on a budget, and oh boy, I wish I had someone to do all of the work for me. Anyone game? LOL How about a contest to make a meal plan for a diabetic on $100? Boy would that take some time and energy!